Concurrent use of up to two UAD FireWire devices together in one computer system is compatible. 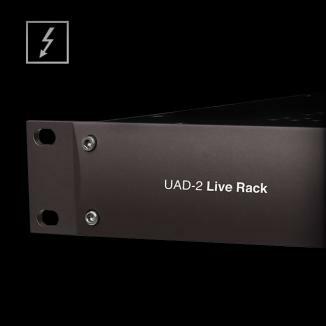 Specific UAD-2 Satellite FireWire multi-device support is detailed below. Combining two UAD-2 Satellite FireWire units together in one computer system is a compatible configuration (if Apollo and/or Apollo 16 is not connected via FireWire). When Apollo/Apollo 16 is connected via FireWire: Combining one UAD-2 Satellite FireWire with one FireWire Apollo or one FireWire Apollo 16 together in one computer system is a compatible configuration. 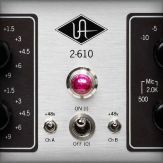 Note: UAD-2 Satellite FireWire cannot be combined with two Apollo or Apollo 16 units that are multi-unit cascaded via FireWire. 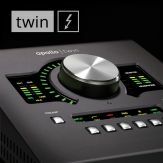 When Apollo/Apollo 16 is connected via Thunderbolt: Combining two UAD-2 Satellite FireWire units with Apollo/Apollo 16/Apollo Twin is compatible when connected via UAD Thunderbolt Software. UAD-2 Satellite FireWire can be combined with UAD-2 PCIe, and/or UAD-2 SOLO/Laptop (within the other contraints listed above). Up to six UAD-2 devices can be combined together in one computer system (within the other contraints listed above). 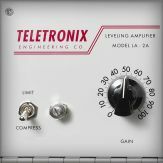 Note: This section applies to the UAD-2 Satellite FireWire model only. 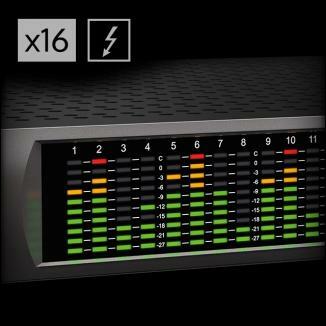 It does not apply with UAD-2 Satellite Thunderbolt. 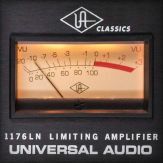 Realtime UAD Processing is always available for Apollo's inputs via the Console application, regardless of configuration (even when I/O buffer values are high and/or when UAD-2 Satellite FireWire is connected). 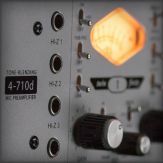 If UAD-2 Satellite FireWire is connected, system sleep MUST be disabled. 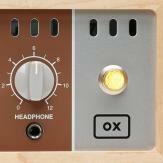 Sleep is not compatible with UAD FireWire devices. 1. UAD plug-ins in the DAW loaded on UAD-2 Satellite FireWire stream via FireWire, while those loaded on Apollo Twin USB stream via USB 3. 2. 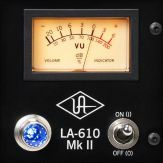 FireWire tuning with the UAD Bandwidth Allocation parameter is applicable for UAD plug-ins running on UAD-2 Satellite FireWire. 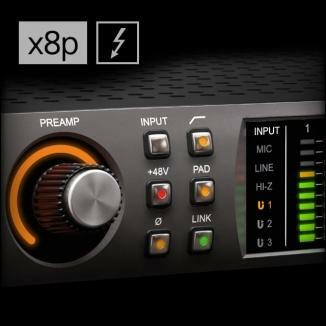 Since UAD plug-ins in the DAW that are loaded on Apollo Twin USB stream via USB 3 in this configuration, FireWire tuning is applicable only for those UAD plug-ins running on UAD-2 Satellite FireWire. 3. 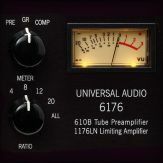 A minimum processing buffer of 512 samples for UAD plug-ins in the DAW applies for UAD-2 Satellite FireWire. Realtime UAD Processing is always available for Apollo Twin USB's inputs via the Console application, regardless of configuration (even when I/O hardware buffer values are high and/or when UAD-2 Satellite FireWire is connected). 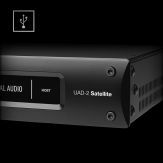 UAD-2 Satellite FireWire is compatible with UA's Apollo audio interfaces. See the Knowledge Base sections for each individual Apollo interface for complete compatibility details. 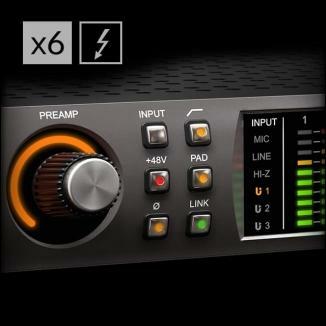 MOTU “Mk3” interfaces: For optimum performance when using the recent FireWire audio interfaces from MOTU with the “Mk3” series moniker (828mk3, 896mk3, Traveler-mk3, UltraLite-mk3; including all “hybrid” models) with UAD-2 Satellite FireWire, we recommend booting the computer and powering the MOTU interface before powering UAD-2 Satellite FireWire. Additionally, UAD-2 Satellite FireWire should be power cycled after each time the computer is restarted. 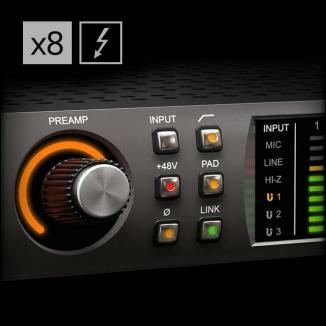 Apogee Duet I (FireWire-based) interface: Some Macs have only one FireWire port (e.g., MacBook Pro, iMac, Mac Mini). This creates a compatibility issue for the Apogee Duet, because the Duet requires bus power and it has no external power input. In order to use the Duet and UAD-2 Satellite FireWire on systems such as these, a FireWire repeater is recommended (some FireWire “hubs” may not perform optimally). FireWire repeaters can be connected to an unused port on UAD-2 Satellite FireWire then connected to the Duet. 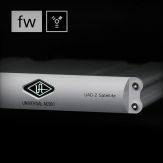 UAD-2 Satellite FireWire must be directly connected to the single port on the computer to ensure full FireWire 800 performance (i.e., more simultaneous UAD plug-in instances). The diagram below illustrates the proper method of connecting Apogee Duet with UAD-2 Satellite FireWire (note an extra FireWire cable is required because of the additional device between UAD-2 Satellite FireWire and Duet). See Chapter 11 in the UAD System Manual for additional FireWire connection example diagrams. 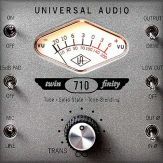 The Apogee Duet issue can alternately be addressed by adding a second FireWire bus and connecting the Duet directly to the host computer’s built-in bus while UAD-2 Satellite FireWire is connected to the alternate FireWire bus. For some notebook computers, a second FireWire bus can be added via an ExpressCard adapter; a list of compatible adapters is below. 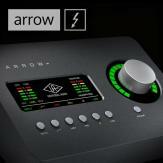 Apogee recently announced the Duet II audio interface, which uses the USB protocol instead of FireWire. Although we have not tested the Duet II in-house, we have not encountered any UAD-2 Satellite FireWire issues with USB-based interfaces.